My art practice is one of collection. I am inspired by the seemingly mundane things critical to our being and existence, and by the universal need to be free. Making art is one active way of liberating my creative mind and imaginings. It is a path for me to present my experiences and observations in a form that invite critical insight from outside; insight that contributes to my own growth. The , gathering, creating and completion of each work, frees me a little more, to see new possibilities in art, as I travel around our world. 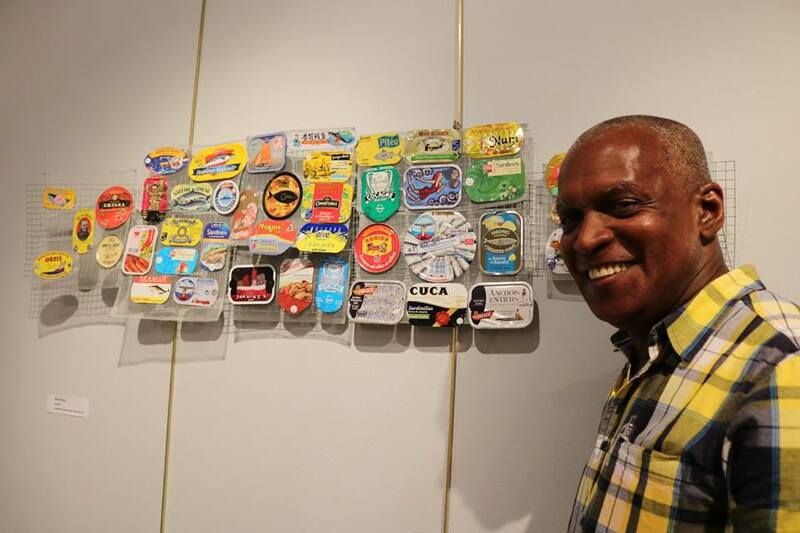 The installation of my collection “Sustenance” emerged from the recognition of the creative work done by combined manufacturers, marketers and artists around the world, to attract their audience. 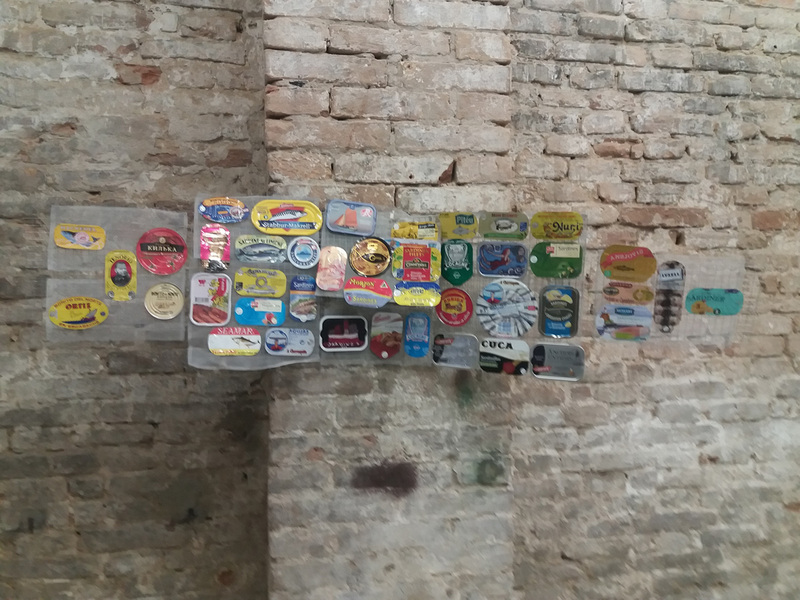 The variety of their lure, informed by the language, culture and colour choices caught my eye. 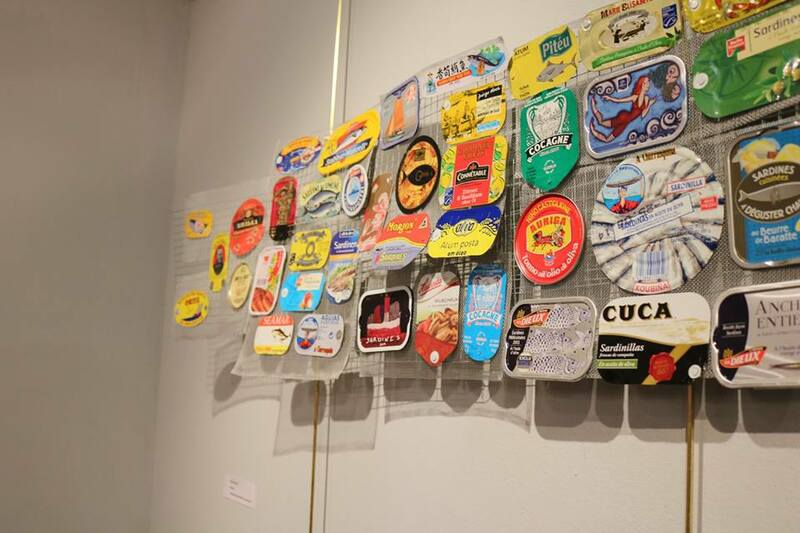 The display of the sardine tin lids also makes a statement as to the globalisation of food. With the current political climate of world powers, will protectionism and isolationism halt the back and forth of goods, in a way that the oceans never will. The many collaborators in the physical collection and gifting of the lids including co-workers, friends, and family, make a social statement of our world-wide interaction, despite the dismal pronouncements and threats of tariffs of the current times. It is a statement of resistance. Of note is the placement of each piece of this work, together, allowing continuous movement as if endlessly connecting oceans. The availability of the material allows the viewer to easily access their own inner artist.